The development originally had tennis courts, a playground and flower gardens. 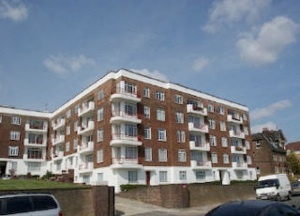 Flats range from two to three bedrooms and are arranged across seven cores. Private balconies are very generous and are accessed via full width sliding folding doors. There is a solarium on the roof. The contractor was William Downs Ltd.